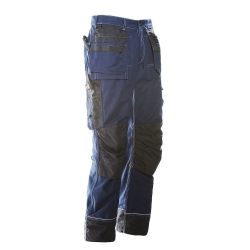 This deluxe pair of workpants is the ultimate in comfort, durability, function and quality. 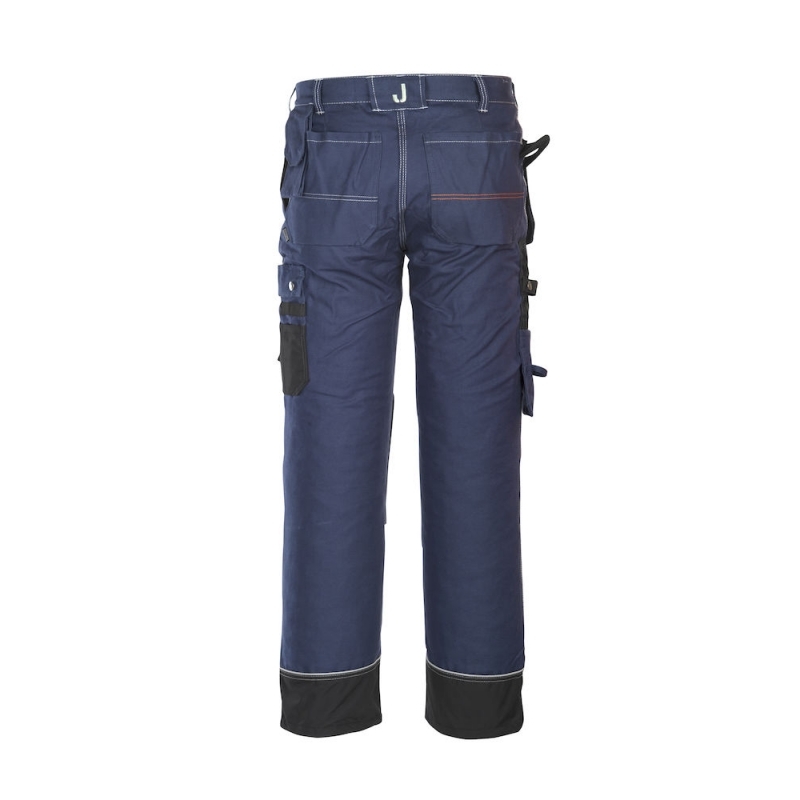 Made from a brand new durable quality cotton and reinforced in specific areas with 100% polyamide, these workpants go the distance for you in style. There is a handy Phone pocket on the hip. Folding rule pocket suitable for all new knives. Left leg pocket with reinforced pocket for pliers, phone compartment and tool compartments. 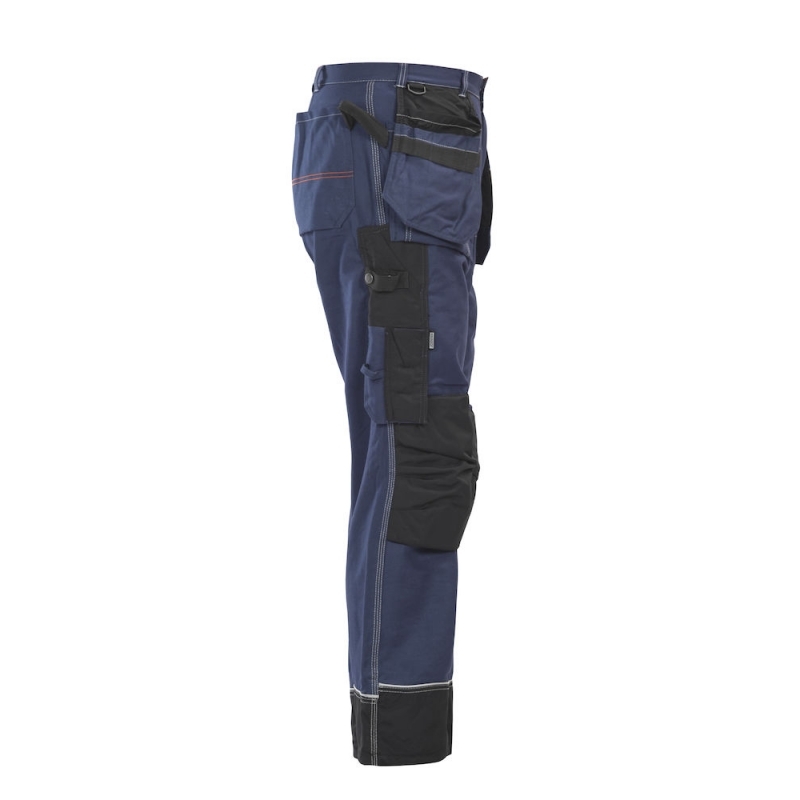 Pre-bent knee with kneepad pockets approved according to EN14404 for penetration protection. 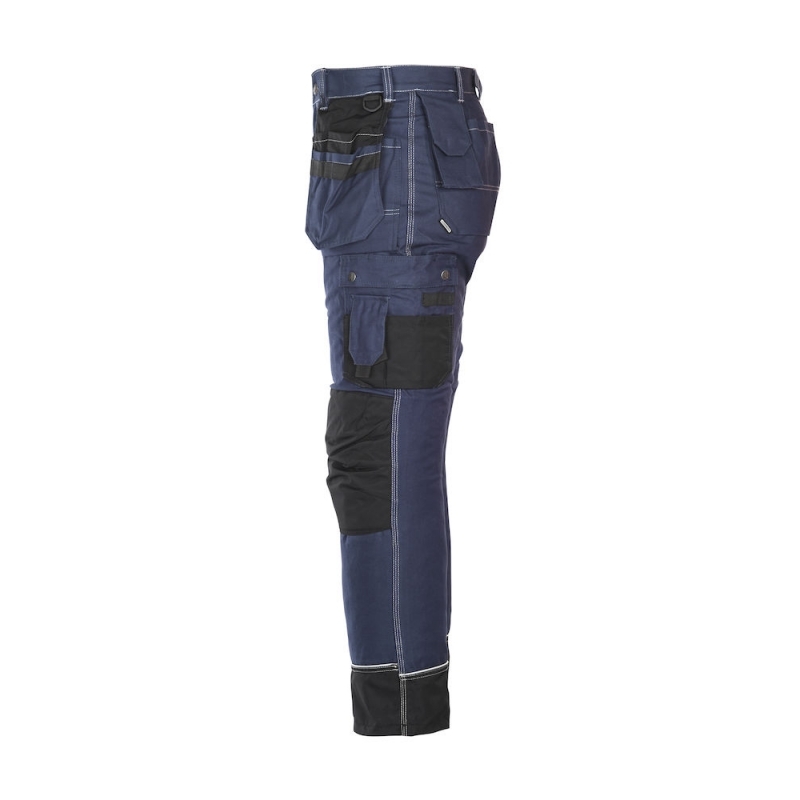 Reinforced, moisture-resistant polyamide ankle cuff. Reflective piping and drawstring ankle cuff. 100% cotton.